Chompy Chic only uses silicone that is BPA free, 100% food grade, FDA approved and lead and chemical free. A safe alternative to allow a child to chew for oral feedback or twirl for movement. 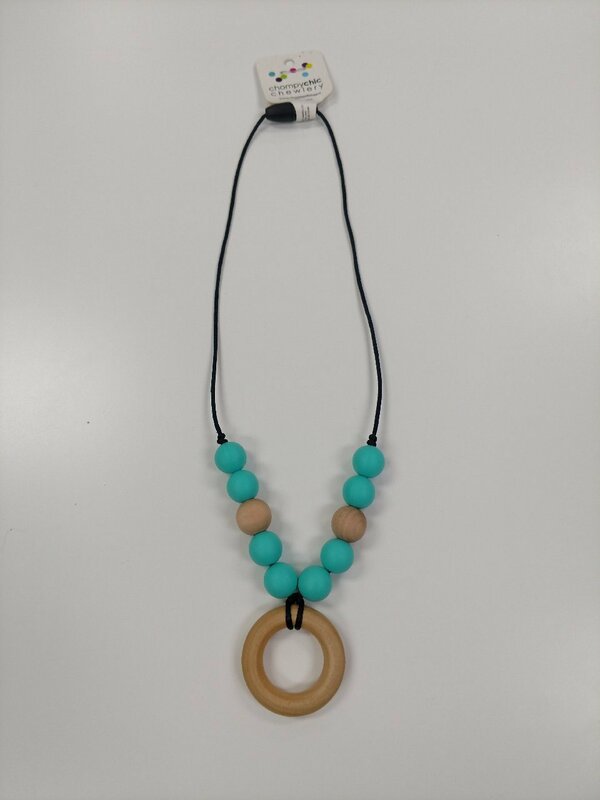 All necklaces feature a breakaway clasp and nylon cording that is very durable. ****Please check items on a daily basis for damage to cord or clasp. Discontinue use and you may purchase a new clasp and cord from our shop if desired. Sensory necklaces are designed for children 3 + to wear but still recommend adult supervision.